We arrived on the Saturday at around 10.30ish at our hotel. We were staying in La Ballerina, a five star hotel situated only a five minute walk away from the National Theatre, Narodni Divadlo. The hotel itself was absolutely stunning. Being fairly new it was equipped with all the technology you could need, with a great wifi connection in the room and a flat screen TV. Our room was at the end of the corridor so we had a separate shower room and bathroom, and then a reasonably sized bedroom. It was decorated with rich colours and crystal lampshades. I loved all the ballerina pictures displayed everywhere as they gave the hotel even more of a luxury feel and obviously emphasised the name. The room really was perfect for our stay and I loved being there! It was my first time in a five star hotel so I was over the moon with how it all was! The staff were incredibly friendly and helpful, answering all of our questions and going out of their way to help us out. On the day we arrived, we couldn’t check in to our room until 2pm so we left our bags at the hotel and went out to explore the city. The architecture is stunning with really tall, regal buildings all with quite an art deco feel. The city was built up again after the war, so I love how they have kept the same style with all their buildings as it would have been once before. There was a Christmas market going on down nearly every street you turned. They all took place in little sheds that were decorated perfectly for this time of year. 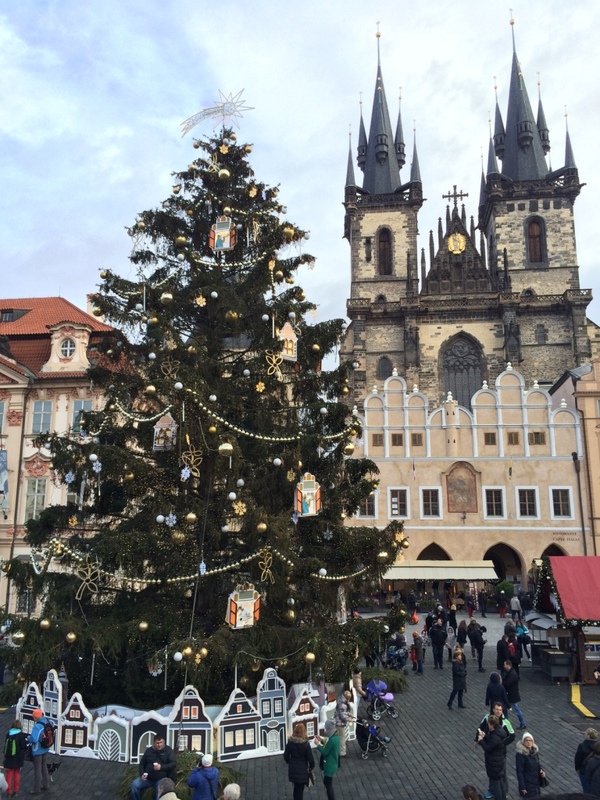 Old Town square was probably my favourite of the Christmas markets as it had a huge Christmas tree situated in the centre. There was a stage with live music going on and stalls selling little trinkets and soooo much food. One of the most traditional foods that I seemed to see absolutely everywhere was this pastry called Trdlo or Trdlník. It is a sweet pastry that is wrapped around a stick and then grilled and finally covered in cinnamon sugar. We also tried ours with Nutella in the middle and it was amazing! After a long walk through the city and some light lunch, we headed back to the hotel to unpack and get ready for the evening. Patch had booked us tickets to go see the ballet at the National Theatre- another birthday present! I have wanted to go and see the ballet for so long so I couldn’t actually believe he had got us tickets. We went to go see the evening performance of the Nutcracker. Inside the theatre, the decor was absolutely beautiful. The ceiling was so intricate and the whole place just felt so regal. We were sat three rows from the front so had a great view of the performance. The whole thing was just so magical and the dancers were incredible. I can’t believe how talented they were! I just loved the whole story line and the place we were watching it from. 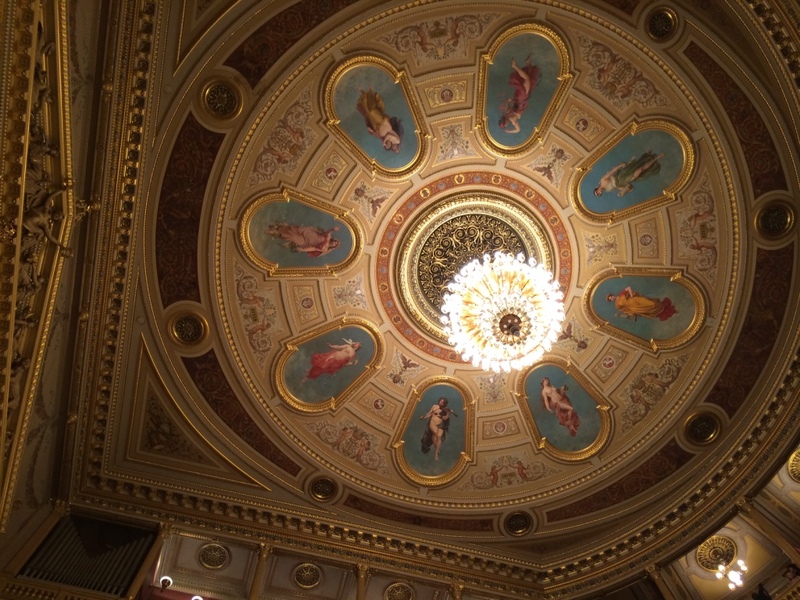 It is such a grand theatre, which I would highly recommend everyone goes to visit and watch a performance. It was just such a beautiful place to watch the ballet in- I loved every minute of it. After the show we went out to see Prague at night. 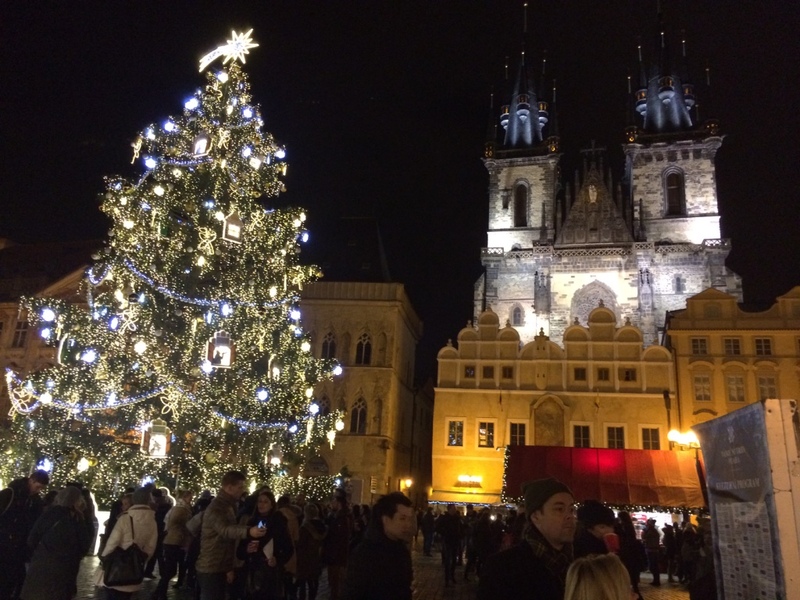 One of the most beautiful places had to be the Charles Bridge all lit up. The view from the bridge was just amazing. 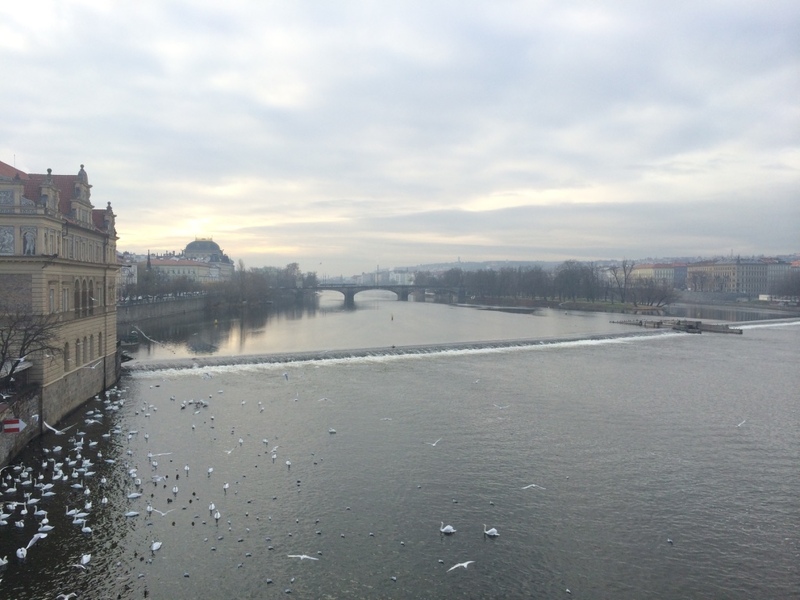 The next day we went on to visit the Jewish Quarters, something both my boyfriend and I knew we had to do while we were in Prague. The first place we visited was the Pinkas Synagogue. The names of all the Jewish victims from Holocaust had been inscripted on the walls. It was honestly so saddening to see the 80,000 names hand written on the walls, it is hard to explain what it feels like in there. While we were there we also visited the cemetery, a mass burial site for many of the Jews that lost their lives. With over 12,000 gravestones, but with many more remains there it is hard to comprehend. On our final full day, we ventured into the Old Town to see some of the more historic buildings. 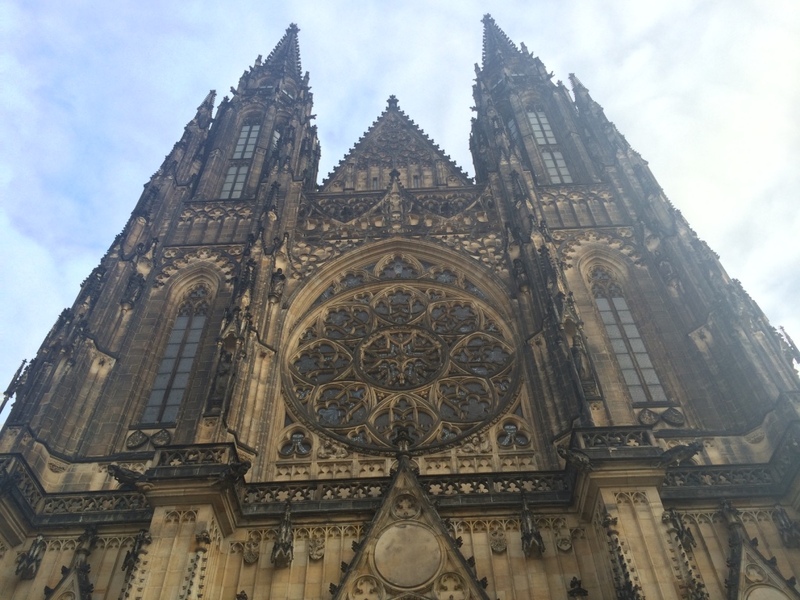 We purchased tickets that included access to St Vitus Cathedral, the Old Royal Palace, St George’s Basilica and Golden Lane. Each of these were well worth a visit. 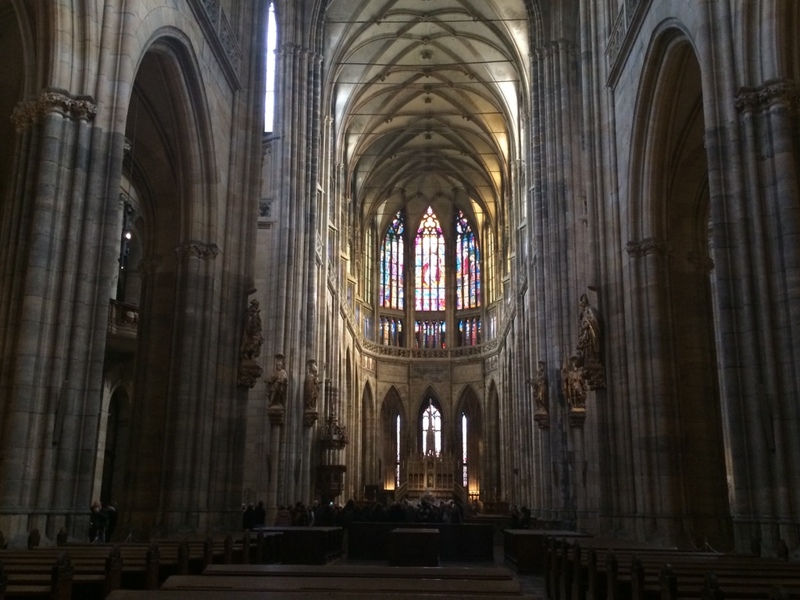 The Cathedral on its own was one of the most amazing buildings I have ever seen. It was also really interesting to see how the Old Royal Palace had been rebuilt after a fire that had destroyed the majority of it. After a really long day walking, we headed back to the hotel after having a hot wine- basically mulled wine but a bit stronger! We had a nap and got ready to go out again. 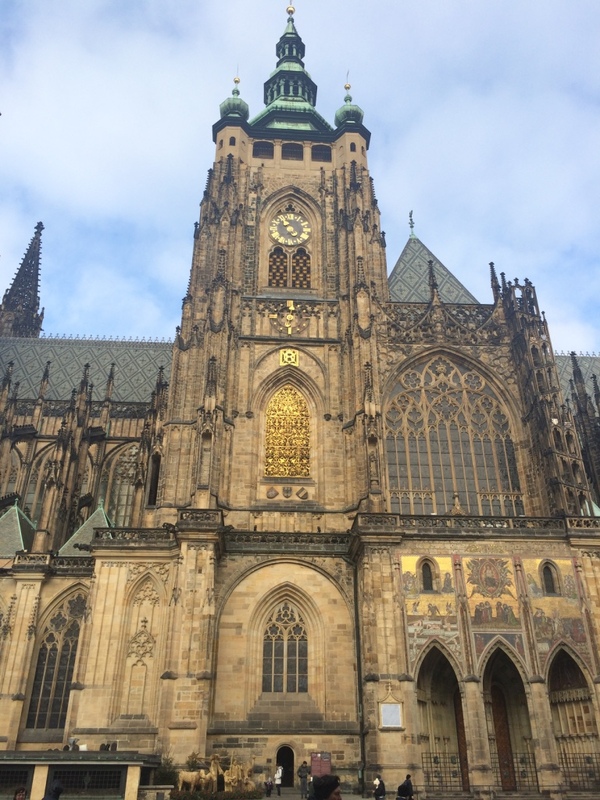 When we reached the Old Town Square we decided to climb the Old Town Hall Tower, which houses the oldest working Astronomical Clock in the world. 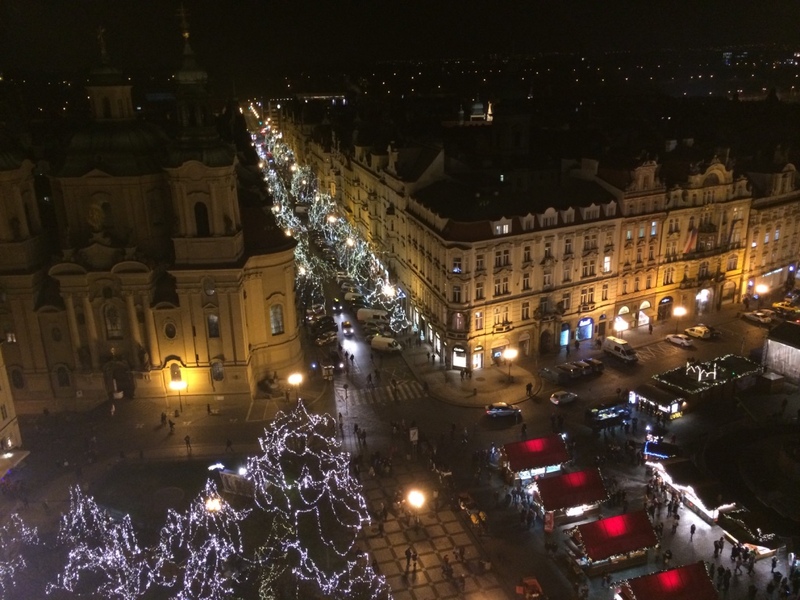 We climbed the tower right to the top and go the most amazing view over the top of the Old Town Square. I am terrified of heights so it was a little high for my liking, but I am glad we did it. The next morning it was time to leave and I was so sad to go. 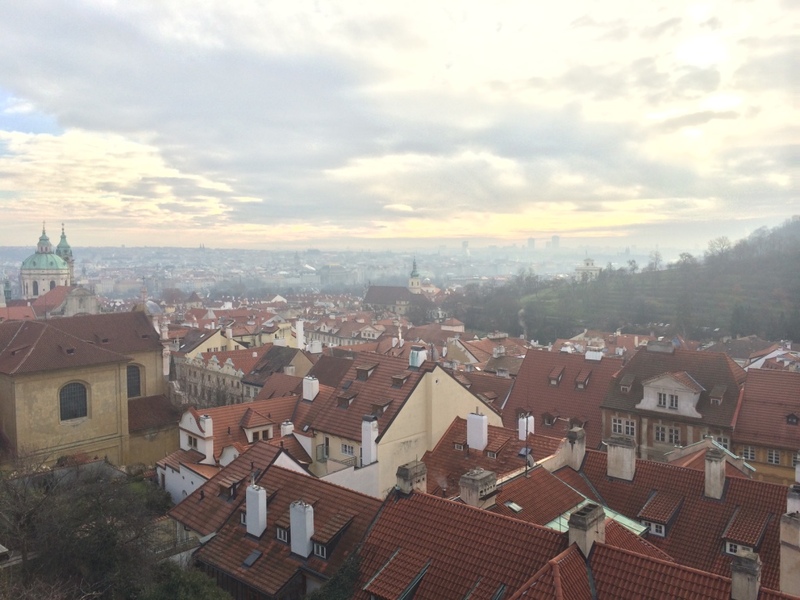 Prague is probably the most beautiful place I have ever visited. I can definitely see myself going there again in the future. I would also recommend staying in La Ballerina if you are ever looking for a hotel to stay in Prague.